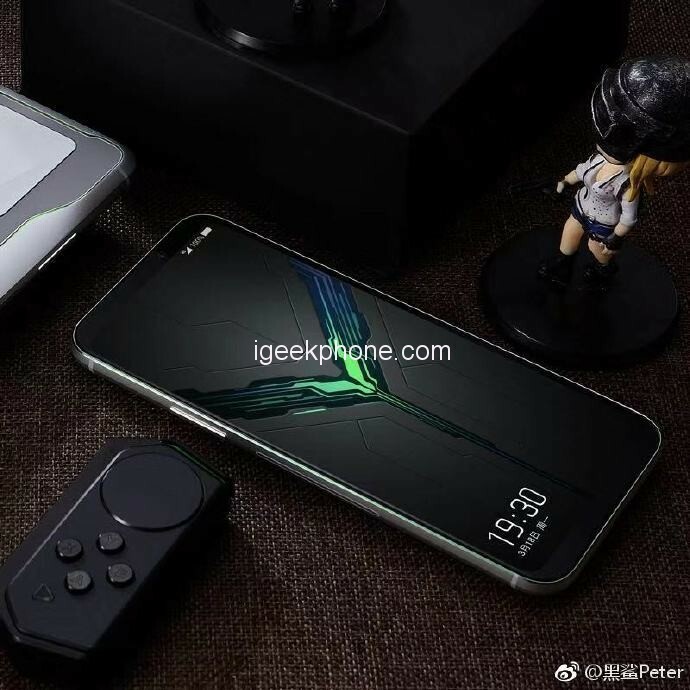 Xiaomi invested in the Black Shark 2 Gaming Phone will be released on March 18, has already exposed some Black Shark 2 mobile phone configuration, such as carrying the Snapdragon 855 processor, 12GB of memory. 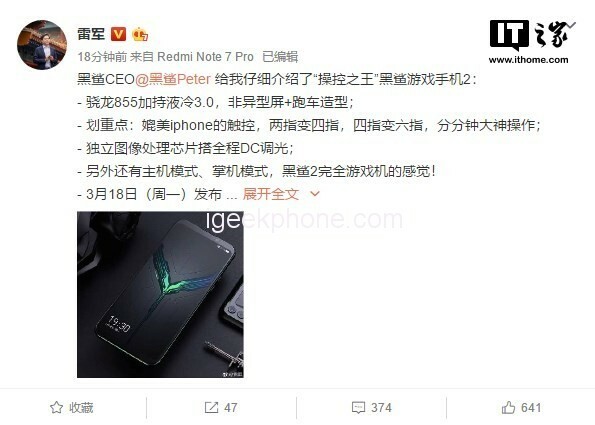 Today, Xiaomi CEO Lei Jun exposed the front of the black shark game mobile phone 2 on Weibo and said that it will be equipped with Snapdragon 855 processor, liquid cooling 3.0 system, equipped with a non-shaped screen, sports car shape. There is also a host mode, a handheld mode, and the Black Shark 2 is completely game console. At the press conference on March 18th (Monday), there are still big moves to be released. it is reported that Black Shark 2 not only carries the annual flagship chip but also customizes the e-sports battery. By optimizing the battery core system and improving the charge and discharge algorithm, the battery charge and discharge times are increased by 60%. In addition to the innovation of the battery, the black shark will soon release liquid cooling 3.0 technology, namely the tower-wide global liquid cooling system. The Black Shark 2 Gaming Phone will be held in Beijing on March 18th with the slogan “Still and mad”. According to 3C certification, this phone comes standard with a 27W charger (MDY-10-EH). The top of the new black shark will be the 855+12GB memory of the Snapdragon and will add new features like the Millet Game Turbo. As for the shape, the chin is about 5mm (the millet 9 is 3.6mm).